The Flash Season 3 Episode 4 Spoilers, Air Date, Promo, Synopsis 3×4 Updates: Last night, the superhero show introduced the character Magenta to the audience. Now, it’s the time to get our hands more on some of the notable villains like Mirror Master and The Top next week. The third installment is getting more and more interesting after the Flashpoint Paradox. First of all, the main villain Alchemy came up, then the Rival followed by Magenta and now the new rogues. All things look fascinating on the paper. Let’s see if the story lives up to the expectations. Check: Scorpion Season 3 Episode 5. Along with the villains who are going to play a significant role in the story, it will be worthwhile to watch what Barry do as a teacher to other speedsters. In the Flashpoint universe, Barry didn’t have to do it with the Kid Flash. 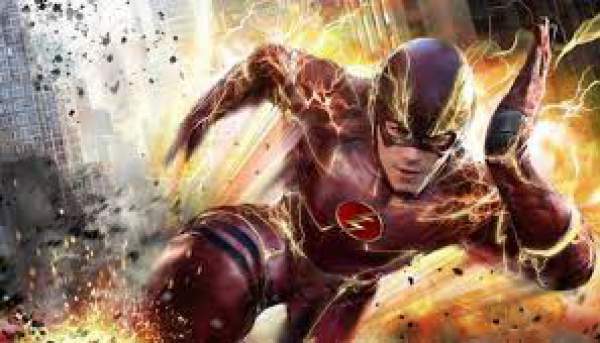 With the return of Jesse as a speedster to get training from Barry, it looks like he should get used to it and hone the skill. It’s because his one wrong move can land Jesse or other speedsters in some danger. The promo clip released shows Mirror Master in a pretty comedic role which is fine from his character’s point of view and powers. We hope that the episode comes with cool ways to use his powers which are reasonably complex. The Flash episode 4 of season 3 is to air on Tuesday, October 25 at 8 pm ET on the CW network.